The migration data alone would suggest that Red-tailed Hawks are on the decline in North America—but the full picture actually indicates stable to increasing populations, with an ongoing shift in migratory behavior. The hawks appear to be wintering farther north than they have in the past, explaining the lower numbers seen on migration. "We wanted to develop a more comprehensive view of raptor population change, using data from multiple stages of the annual cycle," says Paprocki. 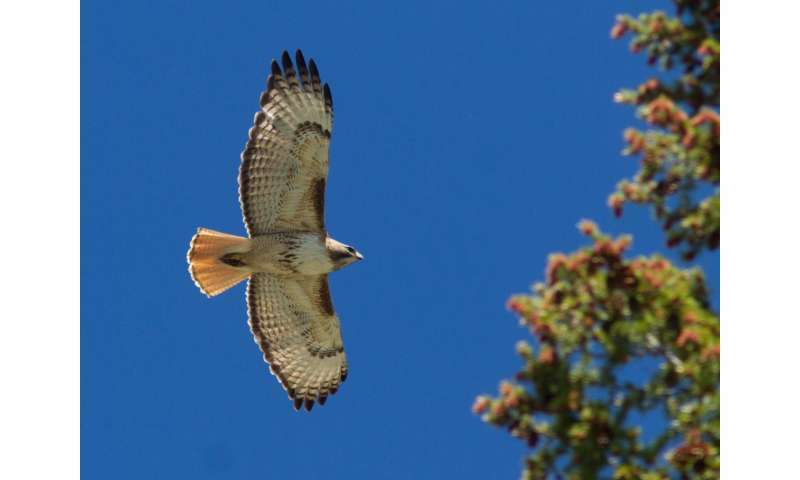 "What does this study tell us about how Red-tailed Hawks are adapting to environmental change? It doesn't tell us anything directly, but the results suggest that Red-tailed Hawks may be responding to climate change, land use change, or other environmental changes by migrating shorter distances or becoming year-round residents." How do migrating birds avoid predators while fueling up?